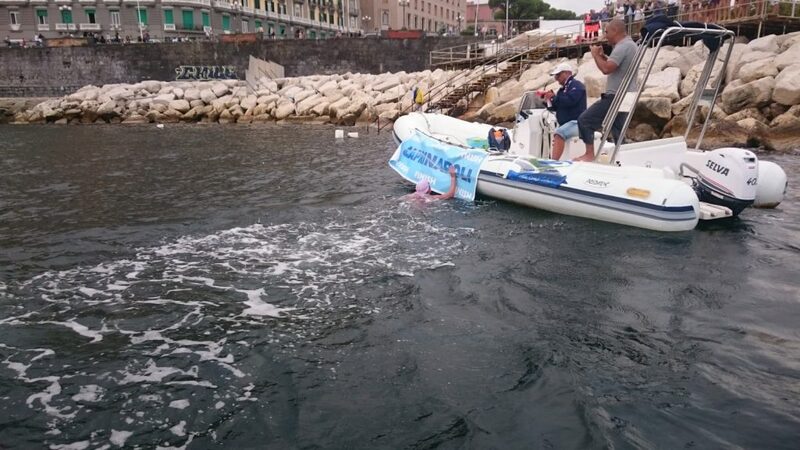 Italian Tuscan-raised and WWS swimmer Gaia Naldini concludes this 36 km. 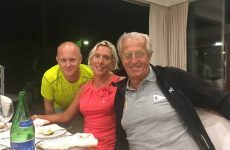 crossing and promotes the fight against cancer in memory of the recently deceased mother: "It is a difficult period of my life, but it makes me happy and satisfied at home, because it made me more difficult than before leaving. 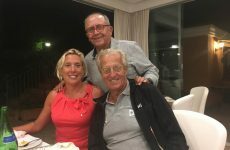 I was not sure I was able to complete "
Gaia was able yesterday to do an enormous task: to be able to complete the most beautiful and difficult trip in the world and at the same time promoting a fundraiser for the European Institute of Oncology of scientific studies and the fight against cancer. 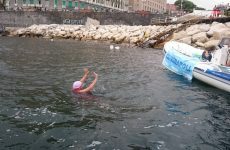 Several times Italian champion, the Italian swimmer won the world title in Perth in 1998 in 25 km team and the European title in 1997. 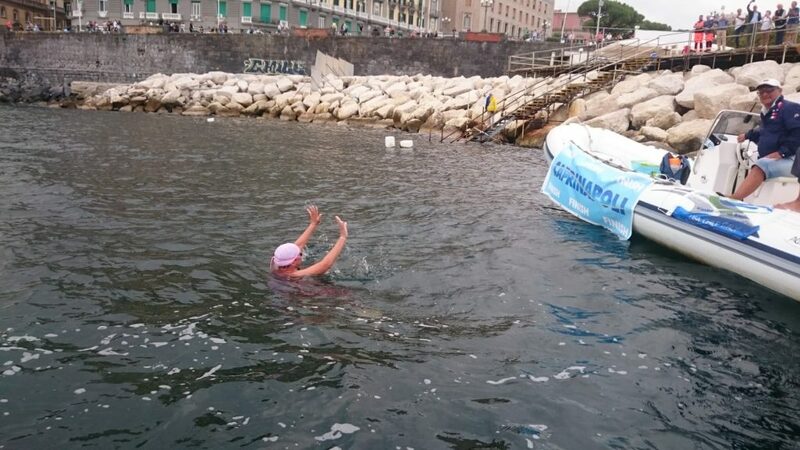 Actually as a master swimmer and coach hitting Genovese swimmers, Gaia completed the Capri - Naples solo and with one the time is not bad: 8h 59'20", especially considering that in the last part of the race he had to swim against the current. 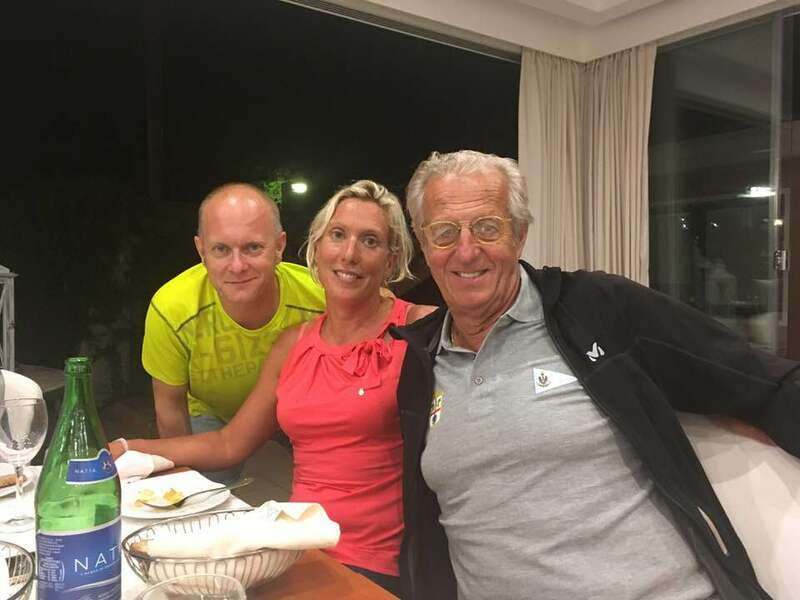 The occasion was to make the reunion with his long-time coach from the national team Filippo Tassara and also with the support of coordinator Luciano Cotena, 43 years old completed the 36 kilometers journey. 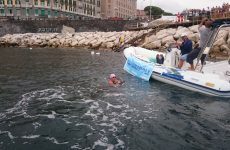 The crossing was born from an initiative that is part of a series of activities sponsored by Water World Swim, in view of an even stronger partnership with the organizers of the Gulf Marathon, and supporting the fundraising program for the fight against cancer research, involving Gaia Naldini who accepted with great passion since it was a tribute to his mother Anna, recently deceased. If I asked you to describe your experience in a few words, what would you say? I'm a little tired as Forrest Gump used to say, but happy! 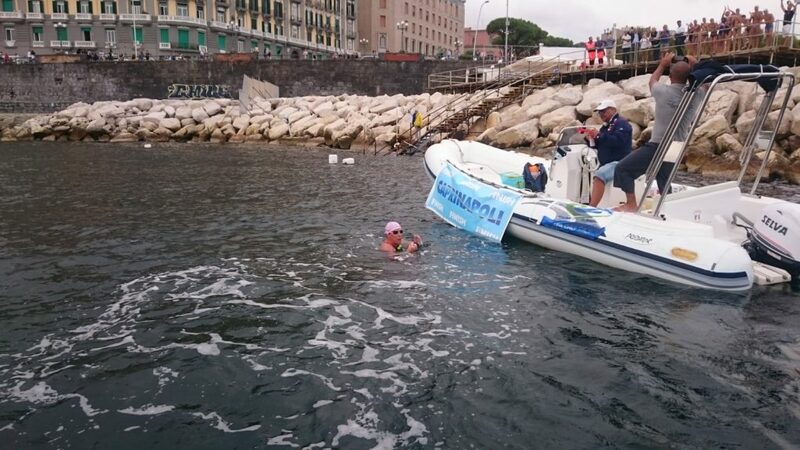 It was a long but beautiful race, Capri - Naples is a dream for all the swimmers of Open Water Swimming, a dream that comes true. Can you tell me what was yesterday for you? Let's start since you got up in the morning, what did you think, how did you feel? The first thing I thought yesterday was that maybe I had exceeded a little beyond my means and that I wanted to do something bigger. Twenty years ago I was in the national team, which was up to 25 kilometers and never I've made such a long career like this. How did you feel about the beginning of the approaching crossing?Very tense because in any competition I have never been to take things lightly, but I always say that the torment is the ecstasy and also the beauty of the competition. How was the race in its various phases? I had a game plan to not force my arm, so fortunately it was a very good race with the leaden sky as I like to compete, as it was very hot. 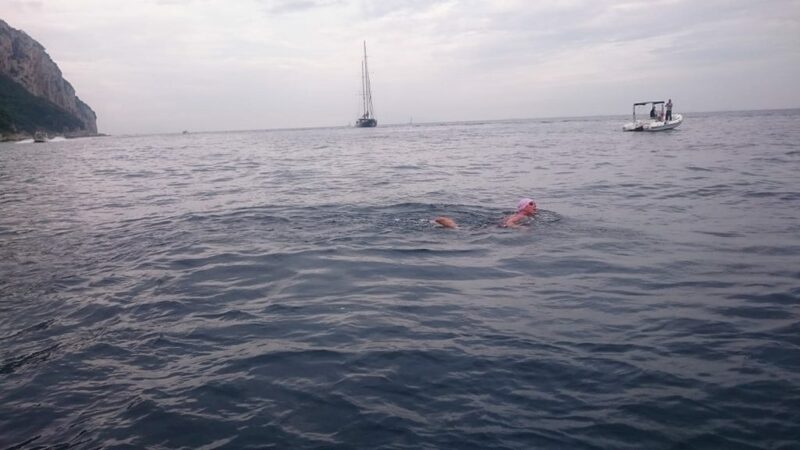 It was very good for the race at sea with the ferries and container ships that sail near of you: I felt a strange feeling, almost unreal, as if I was swimming in a parallel world to the real. There were also dolphins in the final portion, but I could not see them personally. 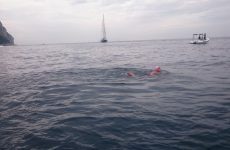 The last kilometers were really very exhausting, because we expected a Mistral wind following in order but it was not easy. 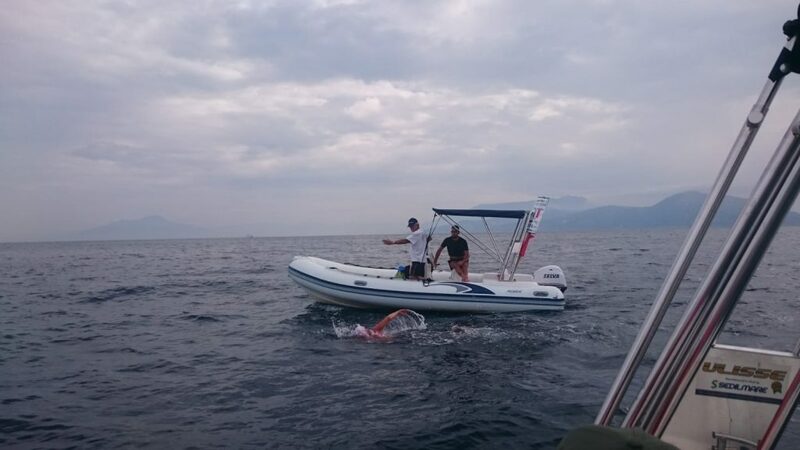 Philip then cheated the missing kilometers and started me too early to the last tear, but I was prepared to face this kind of effort, I have not felt pain in the arm and finally I can say that it went well. What did you experienced when you arrive? Arriving to touch the arrival banner and listen to the siren on the finish line was a wonderful emotion. 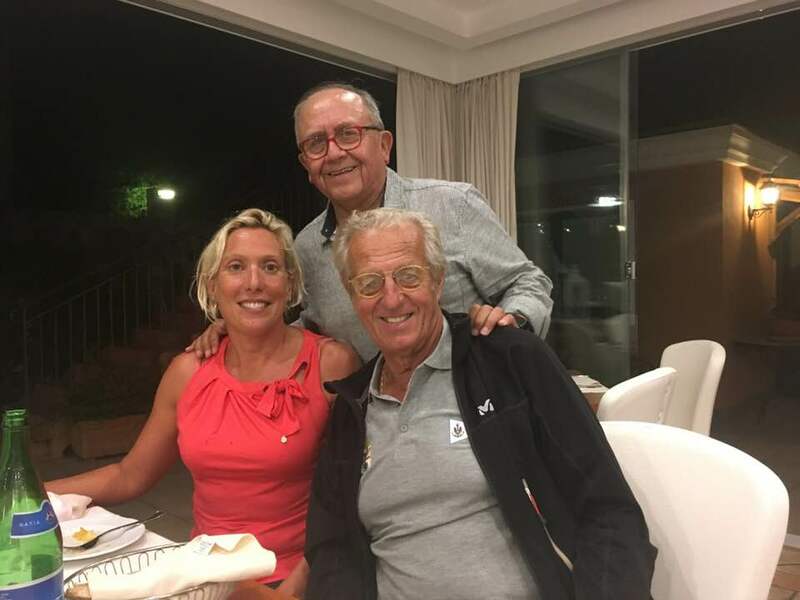 Then, in the Circolo Canottieri, they prepared a pleasant surprise because there were many people waiting for my arrival. To being a race in lonely, I did not expect that audience. What thoughts did you have about this? I'm glad I did this for the main purpose for which I did it, for my mother and also for me. I did a difficult thing before I left I was not sure I could finish. It's a difficult period of my life, but I'm back happy and satisfied at home. 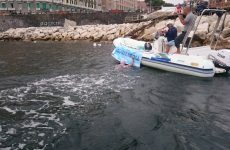 To support the cause of Gaia Naldini visit the website dedicated to making donations by clicking here.